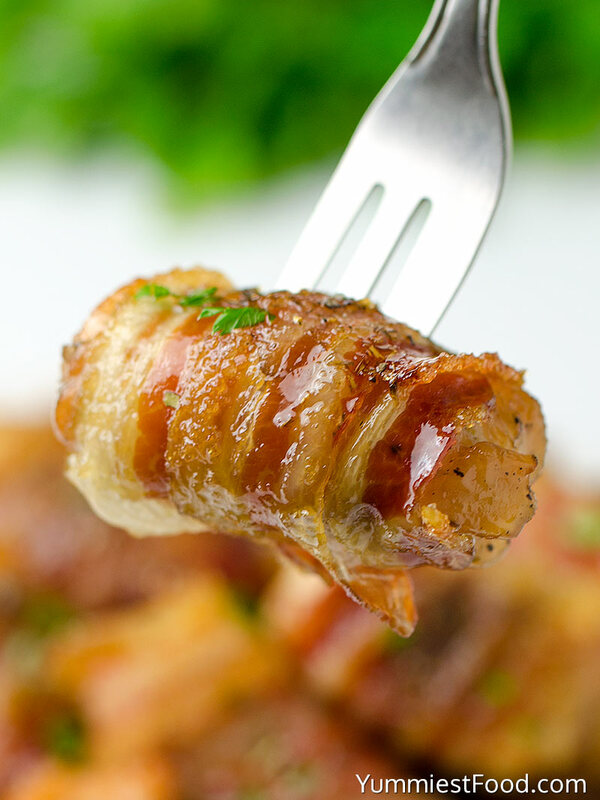 EASY AND SWEET CHICKEN BACON BITES – Easy way of preparing chicken and bacon. Sticky, sweet, crispy and delicious bites! We use chicken on many different ways. 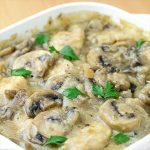 My family likes quick and easy meals and chicken is the right choice. I usually use chicken breasts. 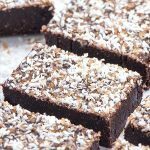 If you like the combination of sweet and salty flavors like I do, then this recipe is for you. 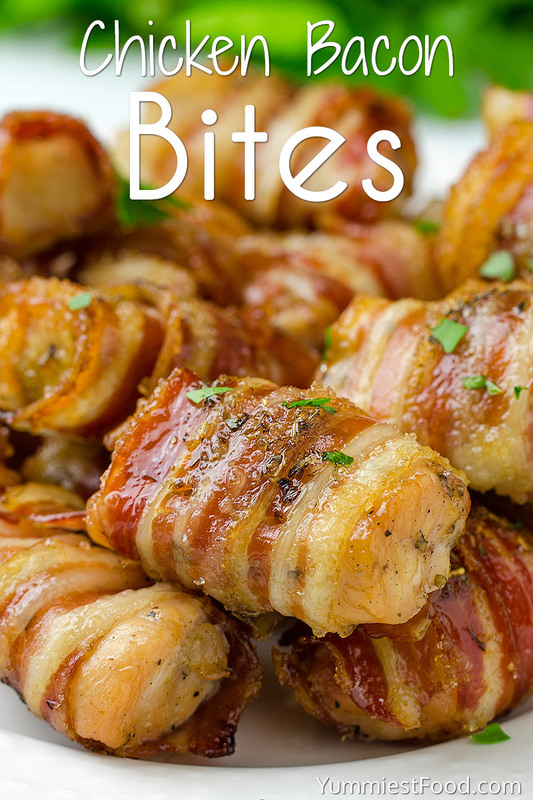 The best Easy and Sweet Chicken Bacon Bites! Sticky, crispy, sweet and delicious bites the perfect weeknight meal. Chicken bites are one of my favorite quick dinners. 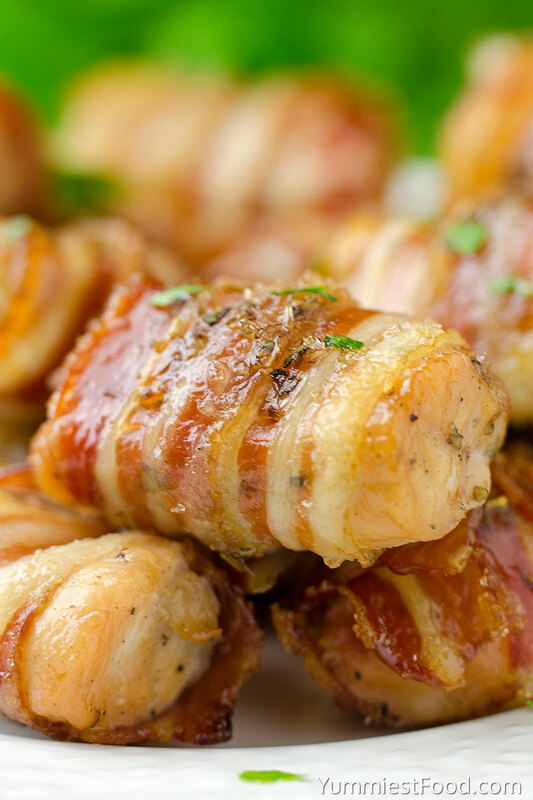 Dinner is a time for the family and friends to get together and if you want to prepare something quick and delicious I suggest you Easy and Sweet Chicken Bacon Bites .They can be prepped and ready for oven for 10 minutes. What could go wrong with chicken, bacon, brown sugar, salt and pepper? Cubes of chicken wrapped in bacon and coated with brown sugar. No party would be complete without the delicious of sweet chicken bacon bites. 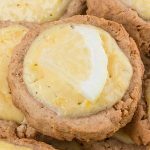 Bake them for a cocktail party or just a casual night. 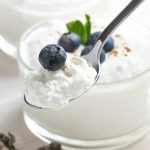 Really this recipe is way to love at first bite, they’re that good. Bacon paired with chicken. 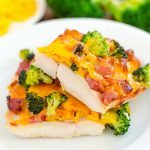 Yes, bacon and chicken just go together and this recipe is seasoning combination takes the relationship to a whole new level. 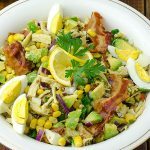 You can make these ahead of time and store in the refrigerator. I have also made them and placed them in the freezer. 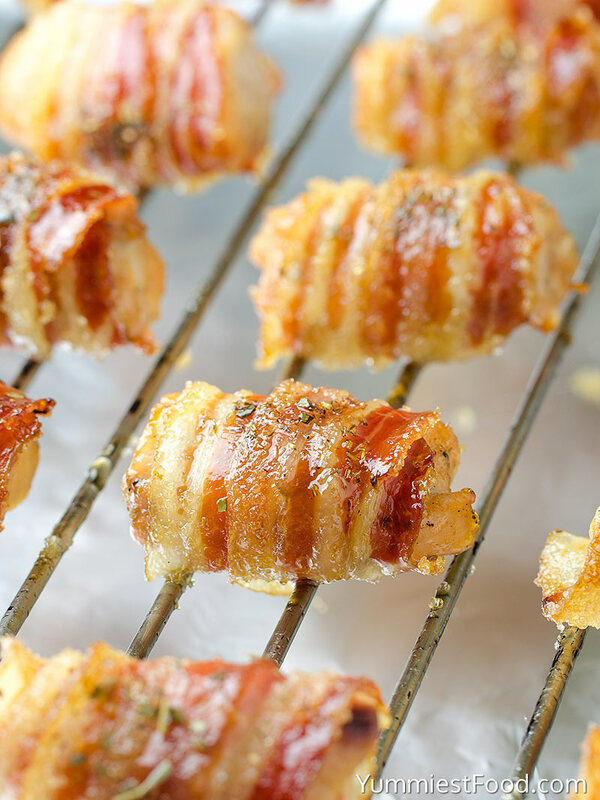 One of my favorite things about this Easy and Sweet Chicken Bacon Bites is that you can modify it to your individual taste. This chicken is seasoned with salt and pepper and coat in brown sugar, I think that is the key to this recipe but if you prefer a mild flavor simply use your favorite BBQ sauce or try adding a slice of jalapeno encased with the chicken for an even spicier, more flavor surprise in each bite. The chicken is so delicious and then the salty bacon and brown sugar just finish everything off. Enjoy! EASY AND SWEET CHICKEN BACON BITES - Easy way of preparing chicken and bacon. 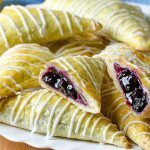 Sticky, sweet, crispy and delicious bites! I Just made this, was easy and tasted great. Thanks for the Recipe! You’re very welcome! 🙂 I’m glad that you like the Recipe!